Thank you to my most reliable pair of DBQ devotees: Mary Wright and John Stanton, who both proffered answers to this week’s quiz. 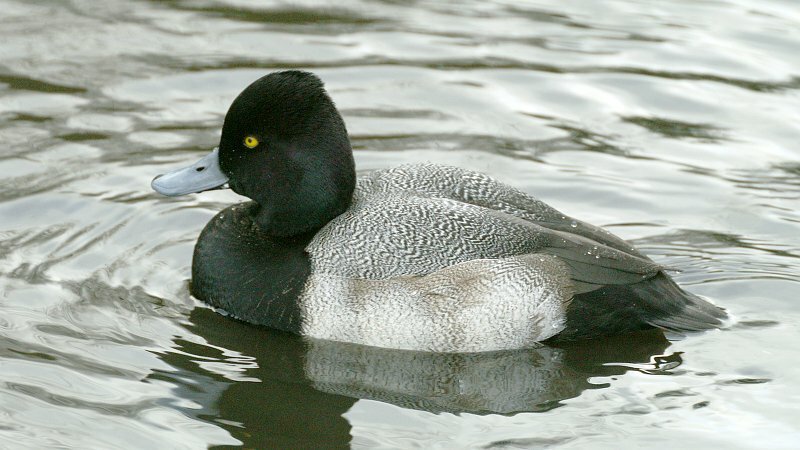 Both Mary and John id’d one bird as a Greater Scaup, and I concur that our Bird B is indeed a scaup. Whether it’s a Greater or Lesser is actually rather tough to tell from this photo alone. At least for me. Take a look at these photos and decide. I would argue that from the angle we have on our Bird B, it would be a tall order to tell. As for Bird A, I side with Mary on this one. I think this is a Long-tailed Duck (non politically correct name: “Oldsquaw”). And based on the pink area on the middle of the bill, I think it’s a male. Long-tailed Ducks are interesting for many reasons, not least is the remarkable difference in appearance between the breeding and non-breeding plumages (see photos). Further complicating matters, Long-tailed Duck males do not proceed in an orderly fashion from one plumage to the other, but undergo a series of changes in variable fits and starts that make the months from April to October one endless wardrobe change for this species. 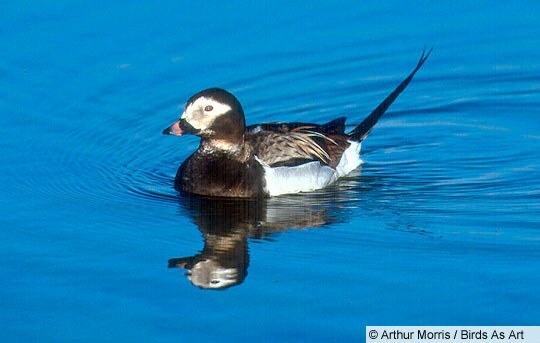 Male Long-tailed Duck in breeding plumage. 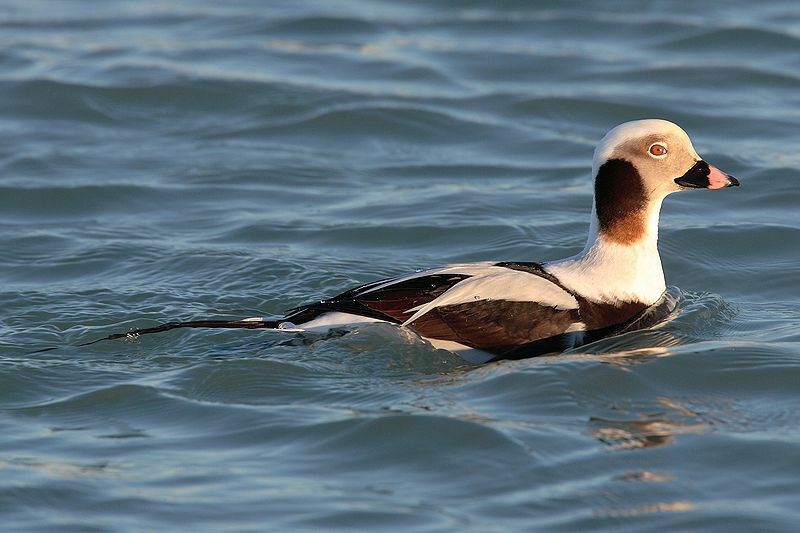 Male Long-Tailed Duck in winter plumage. Our Bird A was one of these. Bird A: Found by Diana Gaumond on Cape Cod this month. Bird B: Found by Rick Keup in South Carolina earlier this month. Your SEANET blogger was weeping at her computer today for want of anything to write about, when our own Dr. Julie Ellis calmly turned, slapped the SEANET blogger and told her to stop the hysterics. She then very reasonably suggested that I simply share with you some fine photography provided by Seanetters. 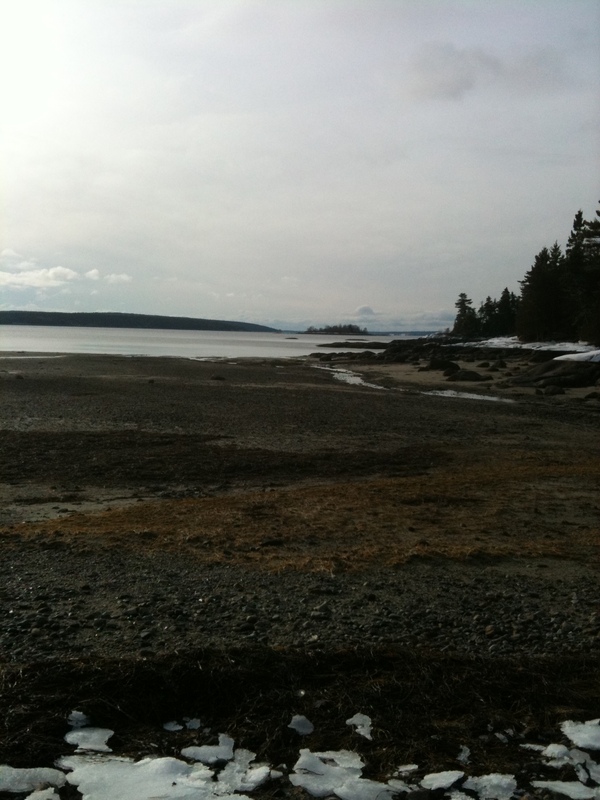 We have had quite a few new volunteers in Maine in recent months, so here a few views of Maine in winter, courtesy of some new recruits. ME_81, on the south end of Old Orchard Beach. Photo by Kathleen Kelly. ME_86, Curtis Cove Maine (near Acadia National Park). Photo by Laurie Yntema. 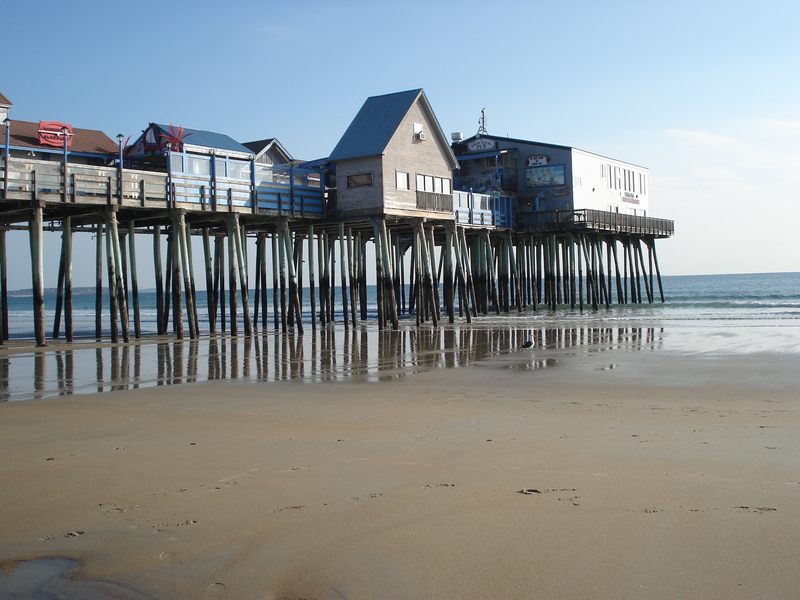 On ME_85: the pier on Old Orchard Beach. Photo by Carol Libby. Linda on MA_18. The jetty at the mouth of the Merrimack River can be seen behind her. 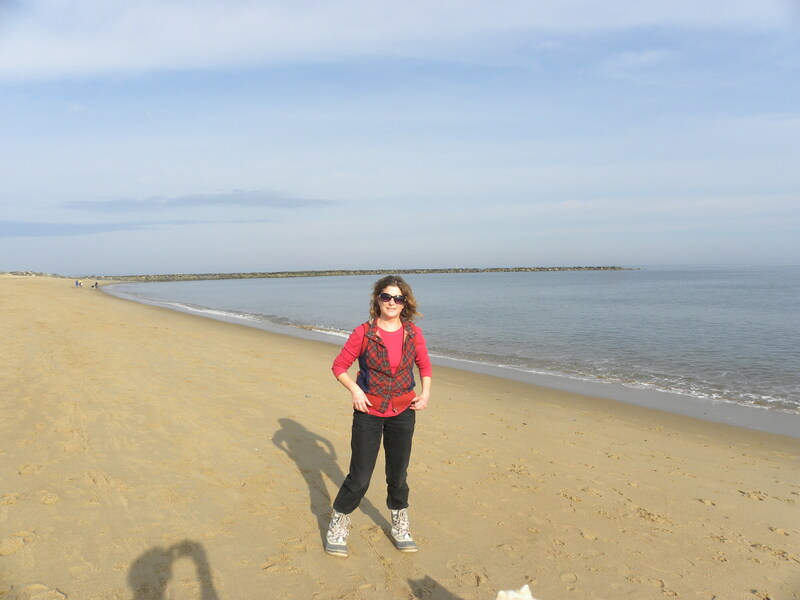 Linda McCallum has been Seanetting since October 2010, and took on a stretch of the barrier beach on Plum Island in northeastern Massachusetts. 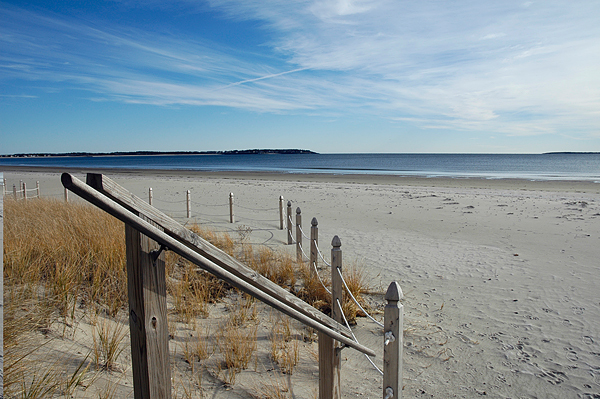 The beach is a sandy stretch popular with locals and tourists and is just south of the mouth of the Merrimack River. 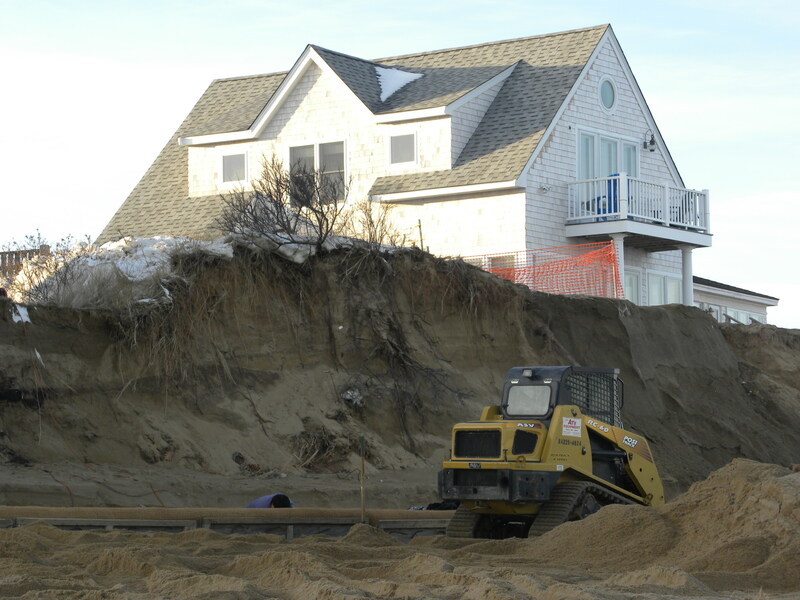 The sands on Plum Island are constantly shifting, and beach houses often shift along with the dunes. Linda has witnessed firsthand what many would consider a futile battle–raising houses up on stilts, dumping dredged sand up onto the beach, and rebuilding destroyed houses a few feet back to begin the process anew. House on the brink: a typical scene on MA_18. As for Linda, she was very obliging in providing a bio by way of introduction to the SEANET community, and I liked it so much, I have simply provided it in her own words here. Welcome, Linda; we’re very pleased to have you, and MA_18, aboard! “I have had a lifelong love of birds and all wildlife. I became concerned with the environment at a very young age when riding my tricycle around my neighborhood in Ann Arbor, Michigan. 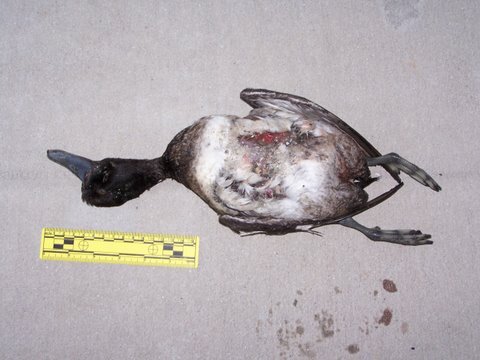 I would find dead birds after the trees were sprayed, I believe for Dutch elm disease. I had a little cemetery for the birds and my passion to help birds started right then and there. I have a B.A. in English from Michigan State University with minors in zoology and Spanish. I also have taken courses towards a masters in environmental science. I ended up working for Ford Motor Company for 23 years in various departments including vehicle engineering and international distribution. Ford promoted volunteer work and allowed employees to take time off to volunteer for a non-profit of their choice. I picked the Nature Conservancy and spent several years working at clearing invasives such as glossy buckthorn, honeysuckle and garlic mustard in a beautiful fen rich in biodiversity – including a small endangered rattlesnake and cricket frogs no bigger than a thumbnail! I raised two sons on my own who are now in their’s 20’s. I taught them the importance of environmental awareness which hopefully they will remember as now their attention is taken up with all kinds of technological delights. For a few years while my sons were fairly young, we volunteered on a farm animal sanctuary. We worked with pot-bellied pigs, rabbits, geese and chickens. I learned about inter-species relationships when my dog, a Samoyed, easily guided the geese to their shed in the evening while my attempts were quite futile. My job at Ford ended, and in 2009 I moved to Massachusetts. I am originally from New Bedford, MA with family in Byfield. While living in Michigan, I came out this way every year and am very happy to now be settling in here. I live on Ring’s Island, Salisbury which is right on the Merrimack River near the ocean. This is a superb area for a large variety of sea & shorebirds. SEANET assistant Charli at work. Mystery object explained! And a call to all Seanetters. First off, the call! SEANET has been invited to participate in a course at Tufts University entitled “One Health: Interdisciplinary Approaches to People, Animals and the Environment.” The course brings together students from various disciplines with faculty from the main campus, the School of Medicine, and the School of Veterinary Medicine to tackle challenges and questions facing all the planet’s inhabitants in the face of unprecedented global changes. Novel problems require novel solutions, and the course faculty want to highlight the utility of citizen science–hence, SEANET! The students will be taking a field trip on Tuesday, April 12, meeting on a Boston area beach–potentially in Revere–for a late afternoon/evening SEANET experience. We would love to have as many SEANET volunteers as possible join us to give the students first hand reports of how citizen science works for you, why you got involved, and what you’ve learned. 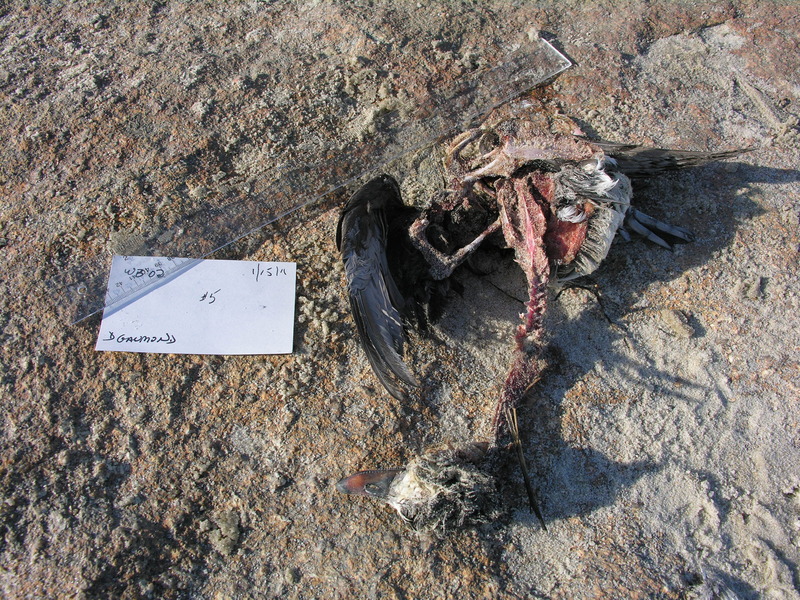 We’ll be planting some bird corpses on the beach to demonstrate data recording as well. Julie and I will both be in attendance, as will my two sons, which should serve as a warning to anyone considering attending. If you think you’d be able to join us, please contact me so I can keep you posted on details as the date approaches. Mystery object: the vent from a lobster trap (see lower right). Correct, this item did come from fishing boat. Specifically, a lobstering boat. 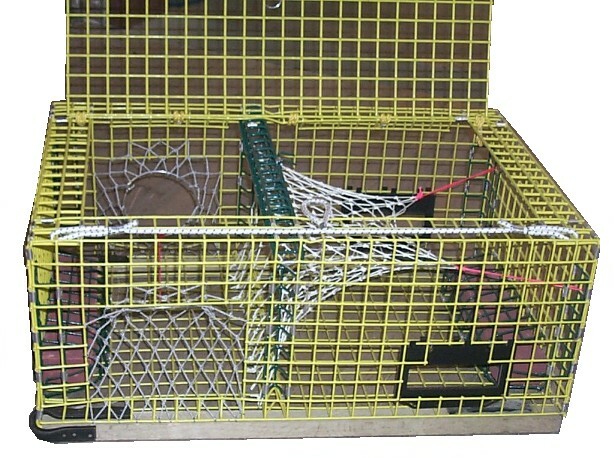 The object is the vent on a lobster trap, which allows undersized lobsters and other non-target marine life to escape. Parts of lobster traps, whole traps, and buoys are common findings on Northeast beaches. Seanetters should be aware that in most states, it is against the law to remove any part of a trap or a buoy from the beach. Lobstermen generally will reclaim whole traps, even if damaged, since new traps can run them up to $85 a piece. 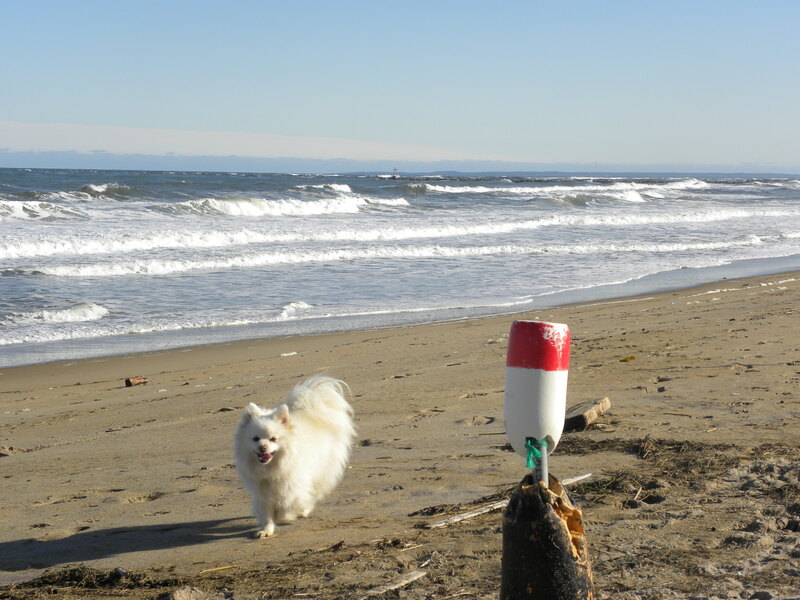 There are also some programs in place that allow participants to remove traps and related debris from the beach for recycling. One of these is the NH Marine Debris to Energy Program, here in your SEANET blogger’s home state. Their Spring trap cleanup generated 25 tons of traps for recycling! Far less poetic than a freshwater spring, Mike discovered that the water on his beach was coming from an ugly old pipe. Seanetter Mike Bjornholm, who walks on Corporation Beach in Dennis, MA found a number of unexpected things on a recent walk. 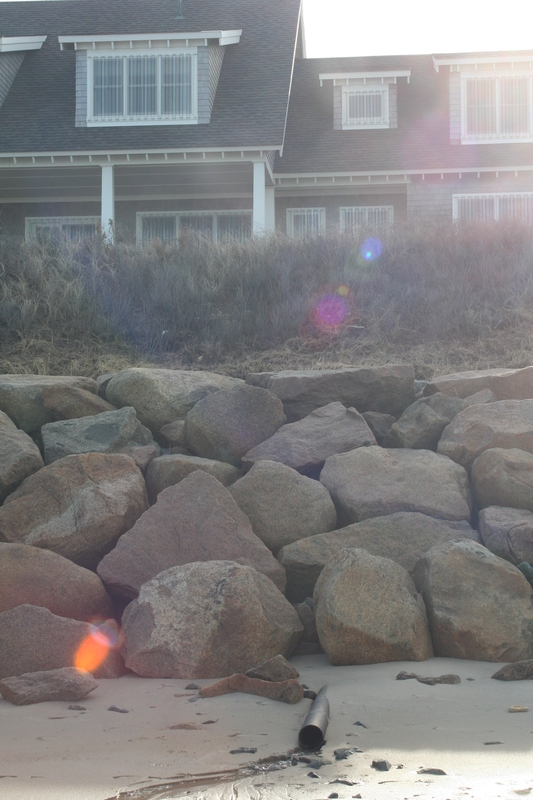 Winter is prime season for shifting beaches, erosion, and changing profiles of the sands, and on Mike’s beach, he discovered that, ” what I thought was a spring on the beach is actually an outflow pipe in front of a large “cottage”.” The less than picturesque pipe is shown here. The surprises didn’t end there. 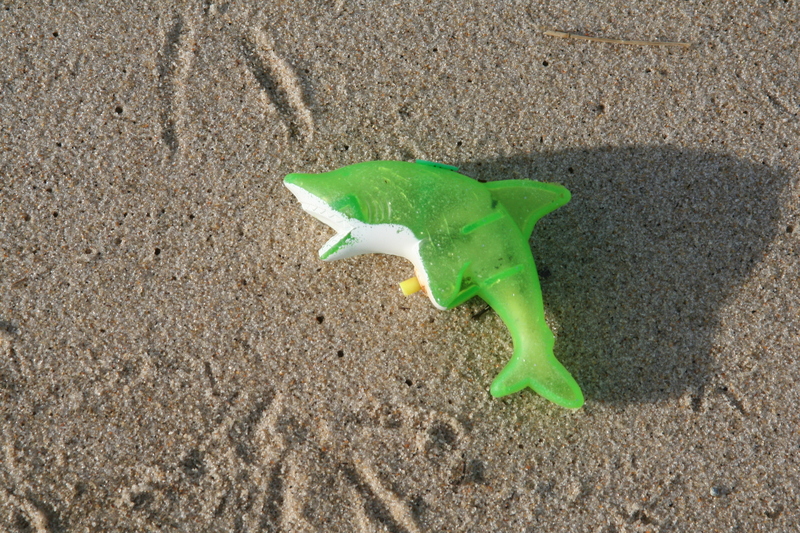 Mike also found a very exotic species of minute green shark. 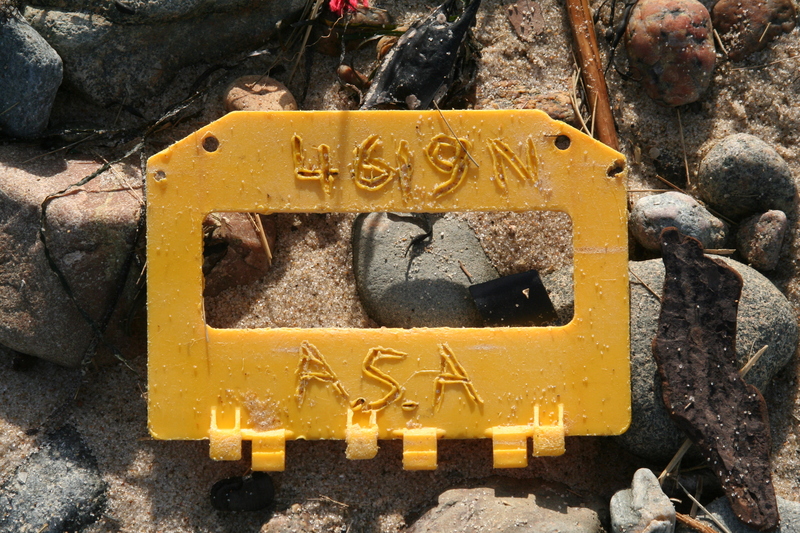 He also found a number of rectangular plastic objects, mostly black, but one (pictured) yellow. These items appear frequently after rough weather on northern beaches. Perhaps you Seanetters will deem this “quiz” too easy, but these ubiquitous items can stump even the most seasoned beachwalker, so I have deemed it worthwhile to post here on the blog. Guesses as to its identity? Second, thank you to Dawn Fine and Aimee Moffitt-Mercer who both posted very complimentary comments on the blog of late. As I sit here with my coffee, strenuously exerting myself on this post, it’s motivating to know that you read and enjoy these ramblings. The number of dead pelicans on Topsail Beach is now approaching 200. Last month, we reported a story out of Topsail Beach in North Carolina where numerous injured pelicans were suspected of having been maliciously harmed. 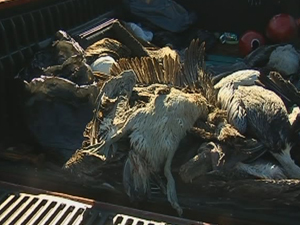 Dead pelicans have continued to wash up on Topsail beach, and some of the carcasses were submitted to the Southeast Cooperative Wildlife Disease Study (SCWDS) at the University of Georgia. Pathologists who examined the birds found no signs of deliberate trauma, and have begun to search for alternative explanations. Algal blooms, foul weather, and entanglement in fishing gear have all been suggested. From the SEANET blogger’s own experience, many of the injuries reported in previous stories (dislocations of wings; neck and head trauma) are consistent with entanglement. SEANET has seen similar incidents in the Carolinas where Northern Gannets were entangled and killed in fishing nets and then apparently thrown overboard after being hauled up with the catch. At this point in the investigation, there are almost limitless possibilities, and we hope that SCWDS and the North Carolina Wildlife Resources Commission will be releasing their full reports soon. 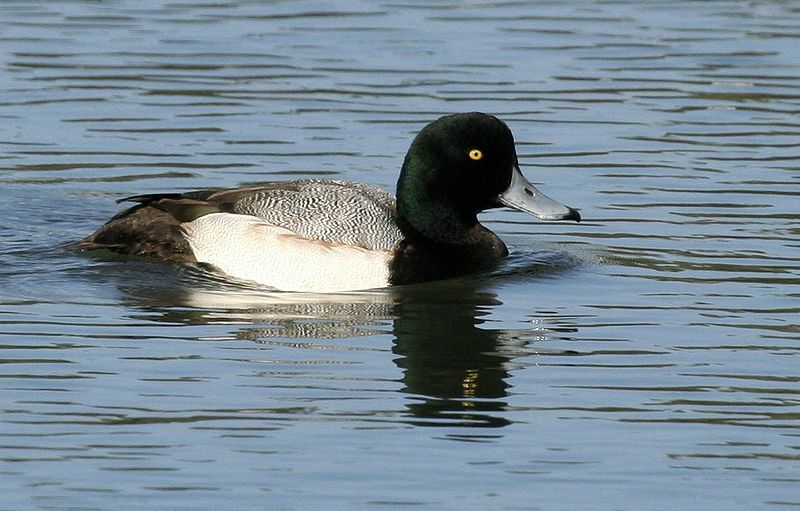 The SEANET blogger would also point out that more than one cause may be at play here, especially since some of the birds found in the past months had been shot, so at least a subset of the animals had been deliberately injured. And of the remaining causes, all of them can interact and potentially amplify each other. SEANET will, of course, continue to share updates as they are released.